Sound familiar? As evidenced by The New York Times, President Trump is a card-carrying member of the Best Liars Club. (The New York Times, “Trump’s Lies,” June 23, 2017, updated December 14, 2017.) He can teach orchids a thing or two. In addition to the lies, almost every day we suffer the trashing of essential protections by an Administration reeking with corrupt ambition and unbridled greed. Drain the Swamp? Make America Great Again? Really??? Haven’t we been duped like the unfortunate folks who signed up for the phony Trump University? It’s enough to make one very cranky. 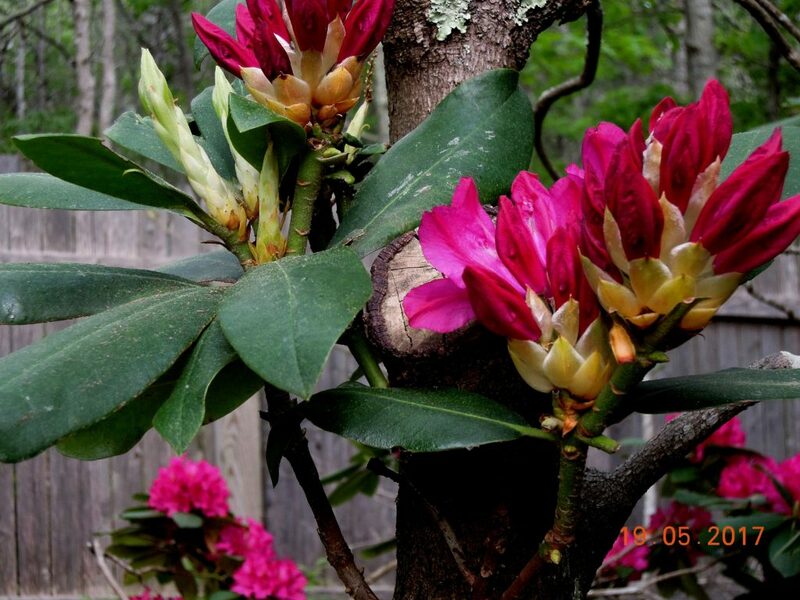 Flowering Rhododendron shrubs add beauty and distinction to a garden. Moreover, they are remarkably self-reliant. 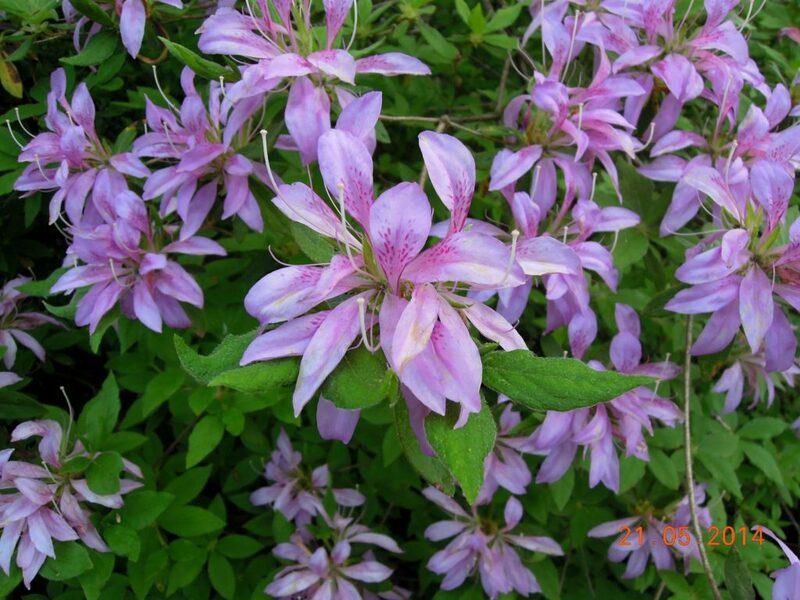 The plant pictured below lost a huge branch during a horrific storm but soon produced others that flowered after a few seasons. 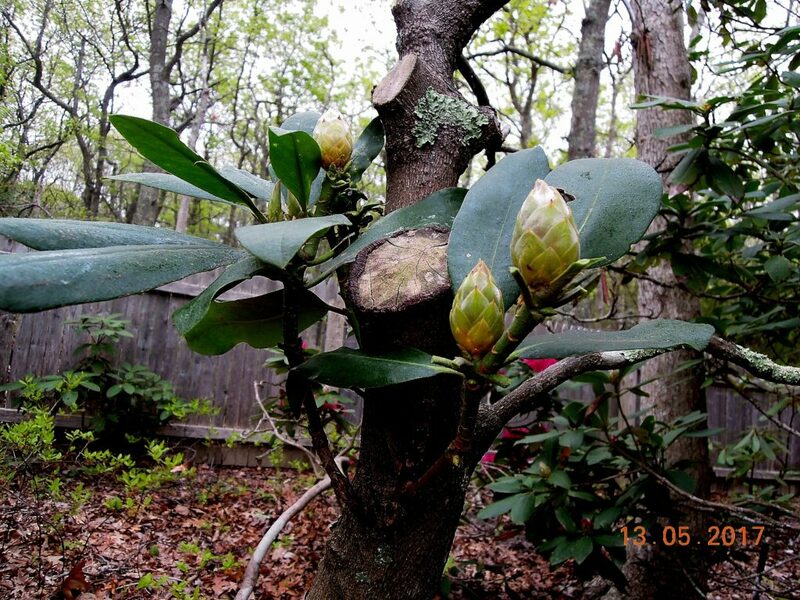 Don’t ever give up on your Rhododendrons. They know how to survive. Trees are also self-reliant. 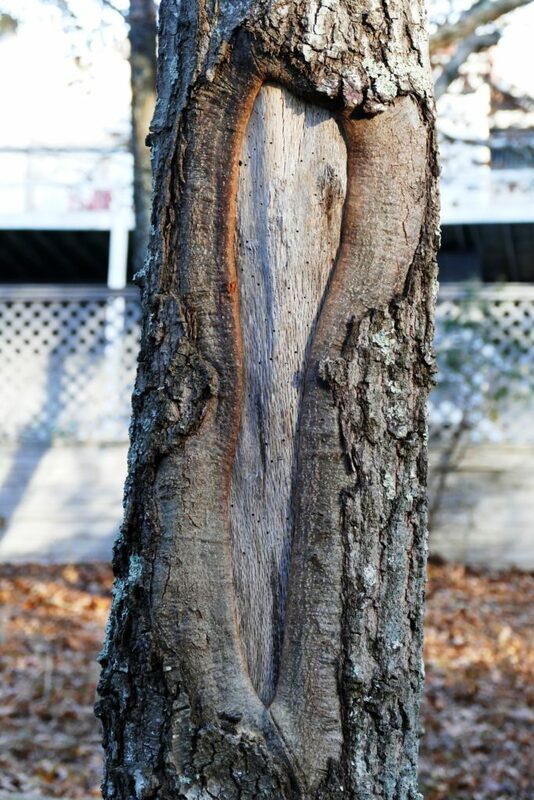 Punch a hole in a tree trunk and it will repair itself. Photo below. (Using tar, etc. to cover the hole is no longer advised as it hinders the tree’s recovery. Don’t help — just stand back and admire.) For tree huggers everywhere, I recommend the fascinating, informed book by Peter Wohlleben: The Hidden Life of TREES. 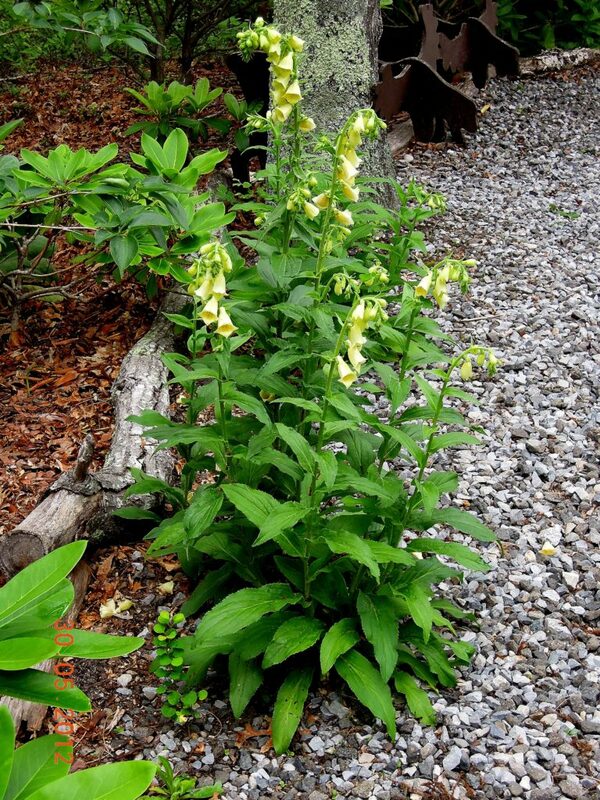 If you adopt a few Digitalis plants, they will seed themselves, and the progeny of these stately foxgloves will grace your garden forever. The bees will thank you. 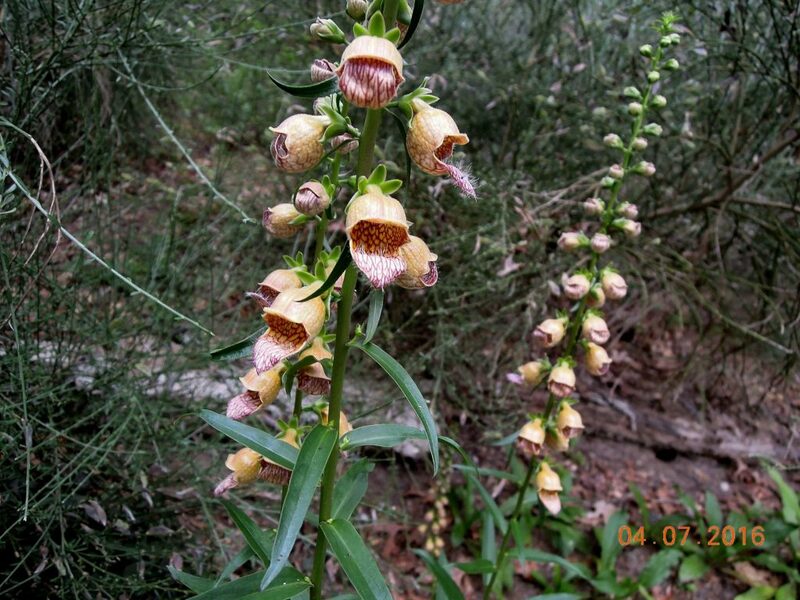 Photos below of D. grandiflora and D. ferruginea. Finally, let’s not forget the birds. 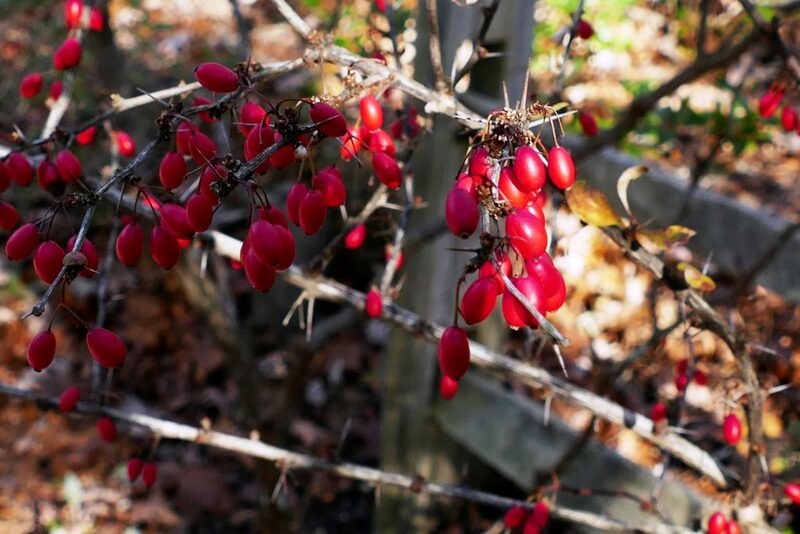 They appreciate berry producing shrubs like the Berberis thunbergii pictured below. This bird-favorite, easy-care, thorny barberry is deer-resistant, tolerates shade, and, in addition to providing autumn interest, produces lovely primrose yellow flowers in Spring. Have hope — 2018 is but a shiver away. Think plants — and midterm elections! 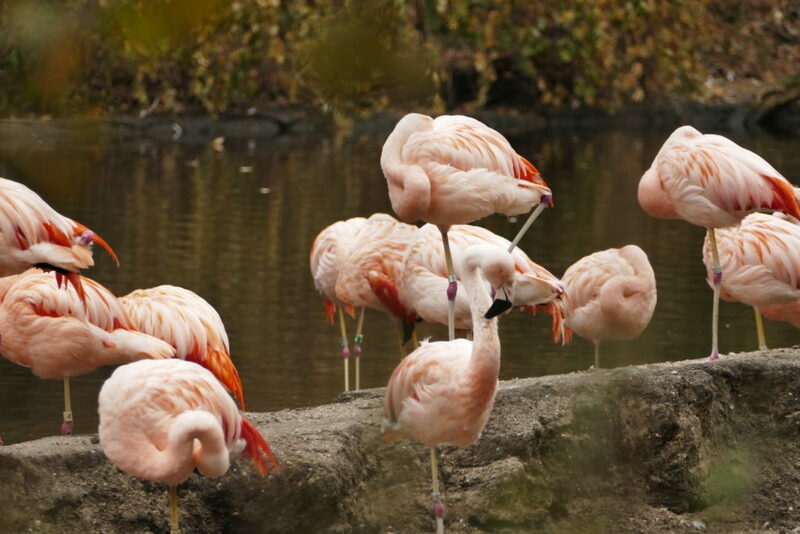 Wishing you and yours a New Year as fabulous as a Flamboyance of Flamingos! This entry was posted on December 26, 2017, in Autumn Fruit and Color, Flowering Shrubs, Garden Books, Organic Gardening, Shade Gardening, Trees and Shrubs. Bookmark the permalink.